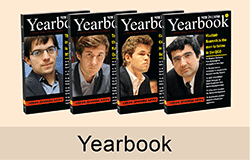 New In Chess is a prize-winning publisher of chess books, the Yearbook and its flagship periodical: New In Chess magazine. The book publishing program focuses on training manuals, opening theory, chess history and chess entertainment. 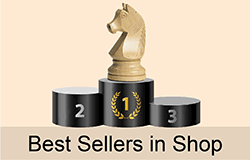 Bestselling authors are Victor Bologan, Jan Timman, Viktor Moskalenko and many others. 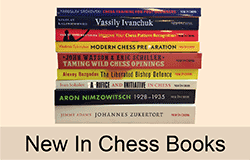 New In Chess runs an online chess shop to provide it's readers and chess friends with the best chess books and chess products available from all major chess production companies. 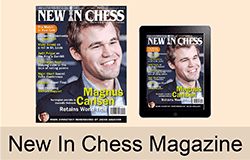 New In Chess magazine has regular contributions from all the world's best players: Magnus Carlsen, Wesley So, Fabiano Caruana, Anish Giri, Hikaru Nakamura, Vladimir Kramnik, Levon Aronian, Vishy Anand, Maxime Vachier-Lagrave, Sergey Karjakin, Veselin Topalov, Alexander Grischuk, Judit Polgar and Hou Yifan.